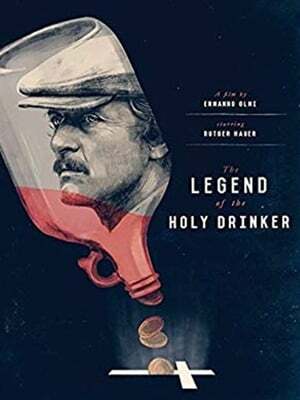 La leggenda del santo bevitore (literally "The legend of the holy drinker") is a 1988 Italian film directed by Ermanno Olmi. It tells the story of a drunken homeless man (played by Rutger Hauer) in Paris who is lent 200 francs by a stranger as long as he promises to repay it to a local church when he can afford to; the film depicts the man's constant frustrations as he attempts to do so. The film won the Golden Lion at the Venice Film Festival. It is based on the 1939 novella by the Austrian novelist, Joseph Roth.